There will be prayers at the funeral home at 10:45 am and proceeding to church for 11:30 mass. 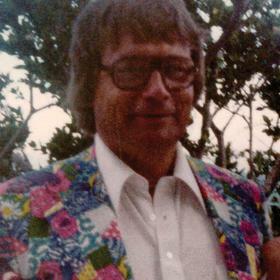 Edward Pobur was a man of great passion. A legend on the golf course, an incredible salesman, and a victorious Rose Bowl champion, he lived his life to the fullest.  His love of his family and friends is a common thread woven throughout his amazing journey. Ed’s flamboyant personality was reflected by his incredible collection of size 13 Johnston & Murphy golf shoes in every color of the rainbow and his wild and colorful outfits! Ed leaves behind a rich legacy of being a man of integrity. He will be greatly missed and lovingly remembered by countless lives he touched over the years. With banks still closing as a result of the Great Depression, the promise of a new election year waiting, and during the midst of one of the greatest droughts in American history, Harvey and Clementine Pobur welcomed home their newborn son, Edward on August 11, 1932 in Detroit, Michigan. Born the older brother to Allan and Sharon, his birth brought light into an era of hard times. Edward’s adventurous personality was evident in his early years. Although he served as an altar boy and attended Catholic schools, he wasn’t always an angel! Once he talked his little brother into heading over to one of their favorite places, his aunt’s home on Walled Lake. So, off they went with Allan riding on the handlebars all the way from their Detroit home to the lake nearly thirty miles away! It wasn’t until Ed called home to see if his dad could pick them up after the sun went down, that he was caught with hell to pay! As a teen, he got into his fair share of trouble before he finally enlisted in the United States Navy where he served on a minesweeper in the Korean War. He often bragged about being the only shipman on deck who could throw up straight into the air! When the war was over, Ed returned home to start his business degree with Michigan State University. Hard to know which made him prouder, earning his Bachelor’s degree or playing as a defensive back the year they claimed victory in the 1956 Rose Bowl Championship! Not to be forgotten was perhaps his greatest accomplishment, when he married, Margaret Mary! May 17, 1958 was the day they joined together and exchanged vows in a traditional Catholic ceremony. Together they raised six wonderful children who were their pride and joy. They taught each of their children the importance of their faith as well as how to be loving, responsible, and above all else, to have fun! While Ed was a pretty strict dad, he became a good friend to many of his kids' friends. When Ed Jr. played football at Big Ed’s alma matter, he was over the moon! Each and every home game, Big Ed would orchestrate the pre and post game festivities complete with more food than one could imagine and the best parking space available! A fierce competitor, Big Ed was known to go back to Ed Jr. and his teammates’ home to beat them all to a round of pool after the games! For many years, Big Ed remained connected to the MSU football program and helped recruit a couple of fine football players who sealed their college deals in his basement! He also drove his family nuts when it came time for Sunday Mass and needed to arrive at least 45 minutes before it started! The members of St. Collette’s grew so accustomed to his battered old prayer book stuffed with mass cards and his preferential seating, that once the pastor asked a parishioner to move when they were caught sitting in Ed’s favorite spot in the pew! In addition to being a loving husband and devoted father, he was a hard worker! In fact, he was known nationally as the best Cadillac salesman ever! Starting out as an aluminum siding and awnings salesman in the late 1950s, he moved his way up to selling cars at Joe May Chevrolet in the mid-'60s. By 1968, he landed himself the position of a lifetime with Beglinger Massey Oldsmobile Cadillac in Plymouth. Selling Cadillacs for almost fifty years, he earned himself a remarkable reputation. With an ability to use his charming personality and never accept any objection to buying a car. For seventeen years running, he was the number one salesperson in the world! No salesman will ever surpass his record of selling more Cadillacs! A true legend, he served as a mentor to countless salespeople over the years. His secret was his innate ability to make every car buying experience memorable and treat every client as family. He and Margaret had many years together of which to be proud. 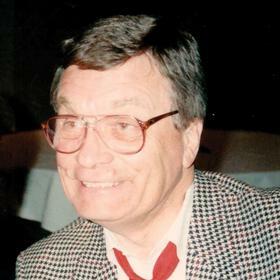 They were members of Washtenaw Country Club for many years where he served as President. He was a fine golfer and so are his sons. They were featured in a news story with the lead line, "How would you like to consistently hit the ball 275 yards and be the fourth longest driver in your family?” He especially liked to show off his fashion around the clubhouse where he’d don his flowered Lilly Pulitzer pants and jackets. Each holiday, members would look forward to his one pink and one blue golf shoe on Mother’s Day and one lavender and one yellow one on Easter Sunday! No matter where he was, he lived his life as a Pobur; meaning without reservation or regrets! No matter his many achievements in his lifetime, his family was his greatest reward! Although he treasured his years as a father, nothing could quite prepare Ed for his role as a grandfather. Each and every one of his grandkids melted his heart and he cherished their close relationships. His sense of fun, encouraging advice, and memorable stories filled their hearts each time they gathered together. Ed was indeed an exceptional person whose wonderful collection of memories will be graciously remembered for generations to come. Edward R. Pobur “Big Ed,” age 84, passed away peacefully surrounded by family July 5th, 2017. Loving husband of the late Margaret Mary of 49 years. 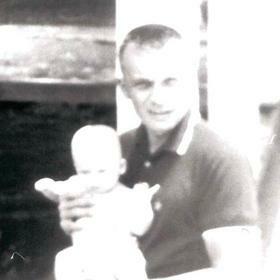 Spectacular father of Colleen (Michael Holmes), Hugh (Carin), Maureen Rodts, Edward J. (Kelly), Stephen (Weevis) and Kathleen Garner (Matthew). Proud Papa of Kyle, Brittany, CJ, Edward J. Jr., Michael, Cassidy, Jake, Joseph, Caroline, William, Luke and Margaret Ann. Dearest brother to the late Allan Pobur and Sharon Jacobs. Cherished uncle to many nieces and nephews and had countless friends. Big Ed was Cadillac Royalty for 50 years and was the number 1 overall Cadillac salesman in the world. 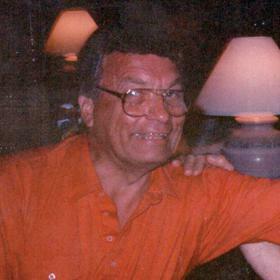 He worked for Don Massey Cadillac and Cadillac of Novi. 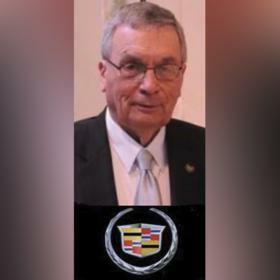 He was considered “The G.O.A.T.” of all Cadillac sales people in this lifetime. Prayers Monday 10:45 am at Neely-Turowski Funeral Home 30200 Five Mile (Between Middlebelt & Merriman). Proceeding to St. Colette Catholic Church 17600 Newburgh (North of Six Mile) for 11:30 am Mass. Visitation Sunday from 1-9 pm with a Rosary at 7 pm at the Funeral Home. 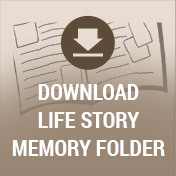 Please visit www.TurowskiFuneralHome.com to share a memory, upload photos and sign the guestbook.